ABOUT US – Each One. Tell One. 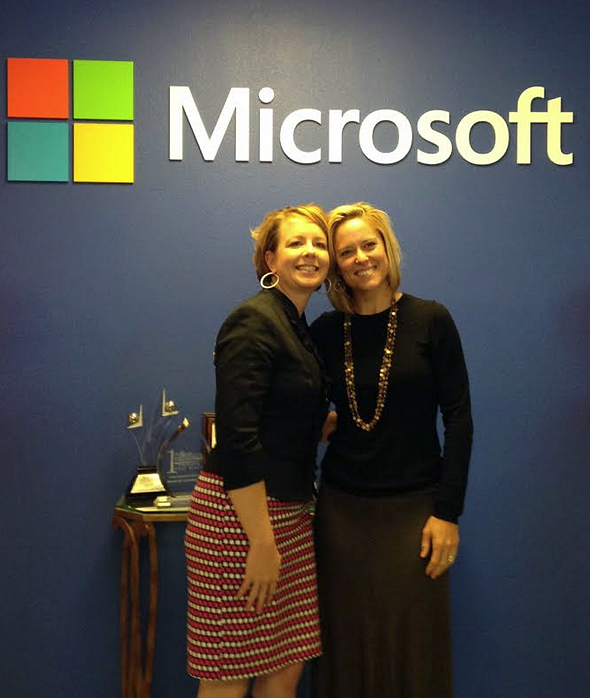 On October 1, 2013, Heather Reimer launched a Facebook page called “Each One. 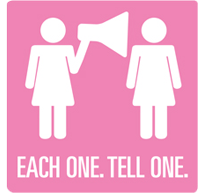 Tell One.” with hope to increase the awareness of dense breast tissue and the potential dangers of having it. After being diagnosed with breast cancer only 8 short months after a clear mammogram, a good friend of hers experienced the same miss; Heather was then motivated to create a movement. Heather was diagnosed with a very aggressive cancer (grade 3 triple negative, stage 3) in late 2011. As she had always been told to, Heather had a mammogram when she turned 40. She was notified of a clean/clear mammogram (in other words… cancer free). Later in the year, in order to complete her wellness points for her employer’s wellness program, she opted for a whole breast ultrasound. This additional screening discovered that Heather had breast cancer which had been there all along… it was hidden on her mammogram because she has dense breast tissue. Following extensive treatment to rid herself of cancer (bi-lateral mastectomy with reconstruction, 8 surgeries and 17 weeks of dose dense chemotherapy) Heather learned that a dear friend also found a lump in her breast only 4 months after her “clear” mammogram; later being diagnosed with stage 3 breast cancer, learning 3 large tumors were missed. Heather then partnered with Wendy Damonte, who lost her mother to cancer. Wendy was an advocate and voice for all, by testifying in support of Nevada Assembly Bill 147 in front of the Health and Human Services committee at the Nevada Legislature. Governor Brian Sandoval signed this bill into law in 2013. AB 147 makes it mandatory for physicians to inform women of their breast tissue type. This information is important because dense breast tissue is more prone to develop breast cancer and tumors are harder to see on a mammogram for women with dense breasts. Wendy’s mom had a similar story to Heather’s, as she too had a clean mammogram and then 6 months later, she was diagnosed with end stage cancer. She had 4 tumors in her left breast, 1 in her neck, and of the 54 lymph nodes that were surgically removed, 38 of them were cancerous. 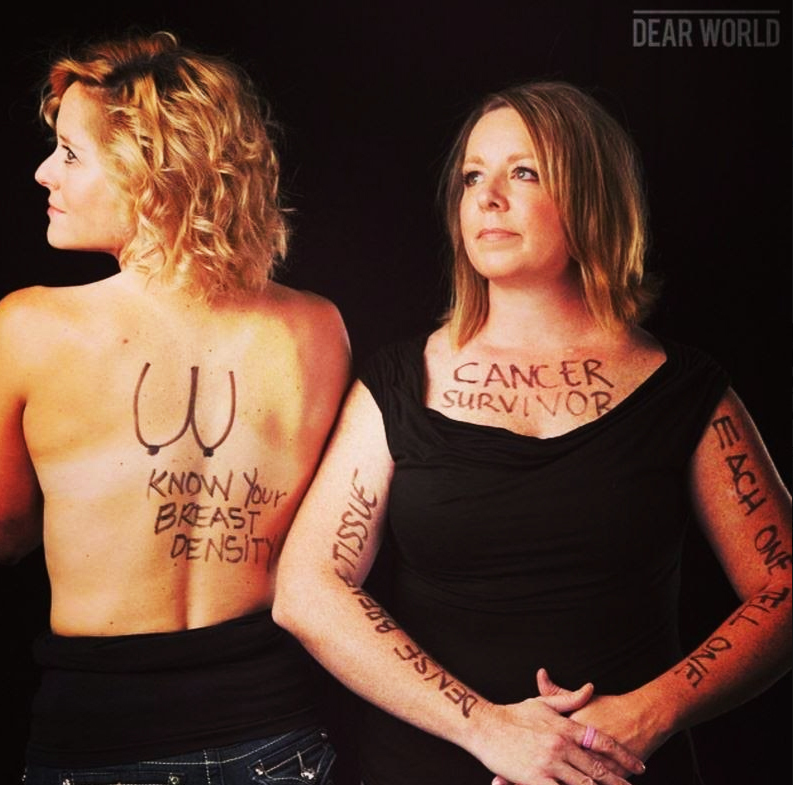 Wendy doesn’t believe her mother died of breast cancer, she believes she died because she had dense breasts. Had she known she had dense breasts, she would have fought for additional screening that would have detected her cancer earlier – with time for treatment and she would likely be alive today. As a young organization, lives have been saved, women have been educated, a movement has begun! Our mission is simple, Each One… Tell One… give a voice to each person to tell their friends, family, neighbors the importance of knowing their breast density and offer education about additional screening options. It’s every woman’s right to know their density. In 2016 Each One. Tell One. launched the “Breast Cancer 2 Bikini” program. This program was specifically designed for Breast Cancer Survivors, allowing the women to take their lives back after cancer. The first round of survivors trained in 2016 for a NPC fitness competition, all appearing on stage, and some even winning in their category! Kristin Remington and her cameras followed the women throughout their 6 month journey, creating the documentary “Breast Cancer 2 Bikini”. Kristin and her team received a 2017 Emmy nod, as well as a 2017 Gracie Awards (Alliance for Women in Media Foundation), a remarkable feat in media.